That's all from the Norfolk Live team for the day... and for the week. The stories making the news today include a family's tribute to the man who died following an assault at a supermarket and the attempted abduction into an RAF Marham airman is no longer an active police investigation. Scroll down to take a look at these and the other news we've brought you today. Whatever you're doing this weekend, we hope you have a great time. We'll be back at 08:00 on Monday. Outbreaks of rain will move eastwards this evening and overnight, heavy at times and accompanied by gusty winds. It may stay dry in the extreme east until the early hours of tomorrow. Temperatures falling to 12C (54F). A wet start to tomorrow for many eastern areas, but drier and brighter in the west for a time. Eventually widespread showers will develop, and some of these could be heavy and thundery. Onshore winds could prevent these showers towards the coast, and there will be spells of sunshine. Sunday will see sunny spells and scattered showers, which could be heavy and thundery. Take a look at BBC Weather for a more detailed forecast for where you are. From the smallest insects to the largest mammals, nature conservation teams are coming together this weekend to help identify and record as many species of wildlife as possible. The 24-hour bioblitz will stretch from Holme-Next-The-Sea to Salthouse... and your help is needed. Rachael Wright, of the Norfolk Wildlife Trust, says they're encouraging people to join in with identifying the plants and animals... and no prior knowledge is needed. "With the help of nature experts and volunteers we hope to discover as many species as possible," she said. The coastline, which is designated an Area of Outstanding Natural Beauty, is home to a diverse mix of wildlife. The National Trust held bioblitz surveys at Brancaster and Blakeney in 2015, which recorded high species counts and also a handful of wildlife firsts for the Norfolk coast. These included the first ever recorded sightings of Balearic shearwaters at Blakeney and the Moss Carder bee at Brancaster. Ajay Tegala, coastal ranger for the National Trust, say it's hoped this blitz will uncover many more wildlife treasures that have been previously unknown. All wildlife discovered during the bioblitz will be recorded and submitted to local wildlife record centres and the National Biodiversity Network to help understand how wildlife along the coast is changing. Click here to find out how you can be involved. A video to highlight to beauty of Norwich Cathedral has been launched today. It's been made by Rob Whitworth, who helped make the BBC television series Planet Earth II. It took the BAFTA-award winning film-maker three months to shoot. The video has been funded by Visit Norwich and the city's Business Improvement District. A man who was killed during an outbreak of violence in a supermarket in Wymondham has been described as a "warm and caring soul". Sue Rogers, the mother of 26-year-old Nick Rogers, says "words cannot describe the overwhelming gut-wrenching sadness and anger" the family is feeling at his loss. "We had a strong bond and while Nick didn't always get things right, he so desperately wanted to change his life for the better. Paying tribute to her son, she added: "I hope that by donating your organs, the lives of others have been saved and you will live on with them. "We hope they all lead a full life, something which was cruelly taken so suddenly from you. Night night, my beautiful special boy." Nick's brother and sister, Cameron and Hope Steadman, also paid tribute to their brother. "I miss you so much, wish you were still here,” said Cameron. "I regret not saying how much I appreciated and loved you. Hope said: "It’s tough to know you won’t be around, to never see me get married, be an uncle and see my children grow up. "It’s hard to believe it’s real – I still expect to see you come walking in the house and ask if I’m alright. Love and miss you so much, please watch over me and keep me safe." Nick's stepfather Andrew Steadman said words could not describe the "pain and heartbreak" the family were going through. "Behind the typical young lad bravado, Nick was a warm and caring soul and would always help others where and when he could. His loss will leave a huge void in our lives." Two men from Wymondham have been charged with murder and of affray. They appeared at Norwich Crown Court this morning and were remanded in custody ahead of their next appearance. They have yet to enter pleas. Around 40,000 speedway fans are expected to attend this weekend's British Grand Prix in Cardiff. The leader of the series at the moment is Jason Doyle, an Australian who now lives in Norfolk, but rides for Swindon, as well as clubs in Poland, Denmark and Sweden. "There's no pressure at all, we've still got six more Grand Prix." Doyle told The Speedway Show on BBC Radio Norfolk. "After getting injured so close to the end of last season, we've got to enjoy ourselves this year." This weekend marks a year since a swimmer died after getting caught in a rip current at Sea Palling. Leszek Puchala, 52, who lived in Poland, was on holiday in Norfolk visiting family. He and another family member were pulled unconscious from the water. Beachgoers initially thought the men were enjoying themselves and shouting out in Polish, but rushed in to help when they realised they were in danger. Earlier this week the council announced it would be using social media to make people aware of the dangers of the sea - they'll be written in Polish as well as English. "One tragedy is always one tragedy too many," said council leader Tom Fitzpatrick. "No matter how safe we think we are, there's always room for improvement. "We're pushing messages on social media, making sure people can go on our beaches and be safe, asking them to swim between the red and yellow flags and obey the signs." Our coast looks benign, the water always looks inviting, but with strong rip tides the water can change... it's asking people to think, have a good time but know what to do if they get into difficulty." More than 60 tickets were issued in a week-long campaign to catch motorists who use their mobiles when at the wheel. Operation Ringtone saw police officers on patrol in marked and unmarked vehicles, all fitted with cameras to get evidence. In total 67 tickets were issued. Driving while using a mobile phone is one of the "fatal four" offences, alongside speeding, drink/drug driving and not wearing a seatbelt. Norfolk Police used the campaign to highlight that members of the public can submit dashcam footage to help in the fight against those breaking the law. Ch Insp Kris Barnard says they hope having extra eyes on the road will help prevent offences and make people think twice about touching their mobile devices. A film telling the story of the last King of Punjab is released in cinemas today. "The Black Prince" is the tale of Maharajah Duleep Singh. He was taken from his mother aged 15 when India was annexed by the British, and sent to England. The young maharajah lived the life of an aristrocrat at Elveden Hall near Thetford, where his grave lies next to the village church. He became a favourite of Queen Victoria, who was godmother to his children. Eventually Duleep Singh gave up his estate, position and royal connections and in 1886 he set sail for India to reclaim his throne. He was detained when his ship docked in Aden and was placed under house arrest. The prince died in exile, a pauper, in Paris in 1893. 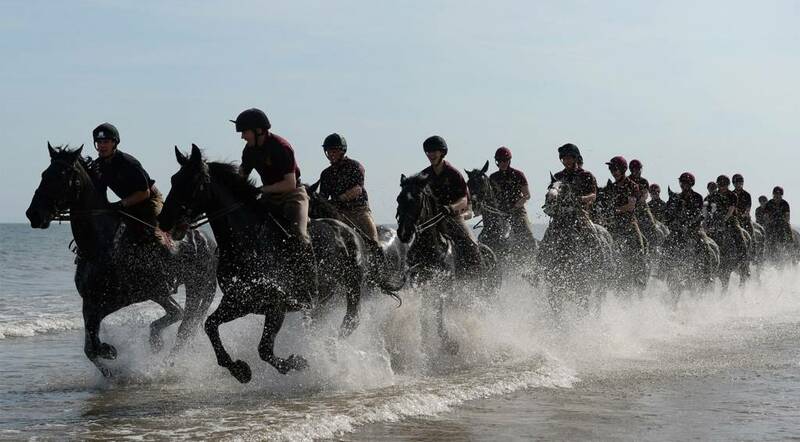 The Black Prince film stars Satinder Sartaaj, Shabana Azmi, Jason Flemyng, Amanda Root, Keith Duffy and David Essex. You can read more about the history of Maharajah Duleep Singh in a BBC feature written ahead of an auction of some of his clothing. A packed audience at the Theatre Royal in Norwich was left disappointed last night after a production of Jane Eyre was cancelled at short notice. The performance of the Charlotte Bronte classic is a collaboration between the National Theatre and Bristol Old Vic, and has been on a run at the theatre since Monday. Audience members told BBC Radio Norfolk that 20 minutes after the show was due to begin they were informed it wouldn't go ahead because of "an incident". A spokesman for the Theatre Royal tells us the decision was taken when a member of the acting company "had a flare-up of a pre-existing tendon of the foot", adding that this occurred moments before curtain-up, and "due to the physical nature of the production it was decided, for this reason only, it wasn't possible for them to perform". The theatre has apologised to those who had paid to go to last night's performance, offering them the chance to exchange their tickets for another performance or full refund. The rest of the performance this week will go ahead as scheduled. The inquiry into the attempted abduction of a serviceman near RAF Marham is no longer being treated as an active investigation by police. As reported in the Eastern Daily Press, any new information that comes to light will be reviewed and acted on accordingly. An investigation began after a married serviceman, in his late 20s, was approached by two men while out jogging on 20 July last year. He said he was threatened with a knife and attempts were made to grab him. The victim, who was not in uniform, fought them off and escaped unharmed. At the time, police said they couldn't "discount terrorism" as the motive for the "attempted kidnap" and there was heightened security around the west Norfolk base. In the first five months of the investigation they'd received around 500 calls. In December, they moved away from the theory the incident was terror-related, and were revisiting other previously-considered motives. To date, the inquiry has cost in the region of £113,000. In a statement, Det Insp Neil Stewart says they've analysed the 500 calls, reviewed hours of CCTV footage and carried out automatic number plate recognition inquiries which have revealed no significant leads. The statement continues by saying all relevant inquiries have been exhausted, and the work carried out by the team has been very productive, particularly in identifying the most important witnesses captured on CCTV. The two men accused of murdering a man at a Wymondham supermarket have appeared in court. Nick Rogers, 26, died on Tuesday. He'd been involved in a fight at the Morrisons store on Norwich Road the night before. John Monk, 43, and his 19-year-old nephew Lee Monk, who are both from Wymondham, appeared at Norwich Crown Court this morning. They didn't enter any pleas and were remanded in custody ahead of their next appearance in August. Three boats which got into trouble when hit by heavy squalls had to be rescued by Wells Lifeboat yesterday. The first call was to the Sea Mist cabin cruiser. One of its two engines had overheated and had to be shut down, making it difficult to manouvre as skipper Richard Comrie tried to cross the bar into Wells harbour. They were between 10-15 miles off the north Norfolk harbour when they radioed for help, and with sea washing over the boat they nearly lost their dinghy. The second rescue was of an elderly couple. Their 65ft barge was caught in heavy seas off Salthouses, and was making little progress because of the heavy westerly wind. The third vessel, a 22ft yacht, suffered engine and communications failure, but managed to raise the alarm on a mobile before it stopped working. She was reported to be 10 miles north of Wells and 10 miles east of Skegness. It was a race against the ebbing tide to get her over the bar while there was still enough depth of water. Lifeboat spokesman John Mitchell says it was "touch and go". The yacht was located by Skegness lifeboat who towed her to the approaches of Wells harbour where she was met by Wells lifeboat... they just managed to beat the falling tide." While the coroner ruled out the possibility that two men who died in an industrial explosion were unlawfully killed, their families say they believe the deaths were preventable. Barry Joy and Daniel Timbers died in what was described as a fireball when a 205-litre barrel of industrial solvent caught fire and exploded in their paint spraying booth at Harford Attachments in Norwich, two years ago. Daniel Timbers' father Nick should have been working in the booth that morning but had a bad back, so his son stood in for him. Speaking after the inquest into their deaths ended yesterday, Daniel's brother Ash Timbers (pictured, with his father Nick in background) said his brother was a "great son, brother, partner". "Most of all he was a brilliant dad to his son. Not only has Dan been robbed of seeing his son grow up, his son has been robbed of a great dad who put all of his efforts into his son," he added. Rebecca Spruce spoke on behalf of Barry Joy's family, and said they hoped that the Health & Safety Executive's ongoing investigation would show how seriously safety should be taken in the workplace. A statement from Harford Attachments said the deaths were a matter of profound regret. The company's lawyer, James Jevon, said Barry and Daniel were well-regarded and much-liked work colleagues and friends and their loss had been keenly felt. A Health and Safety Executive (HSE) investigation is continuing into the deaths of two men in a factory explosion two years ago. Paint sprayers Barry Joy, 56, and Daniel Timbers, 28, died at Harford Attachments in Norwich in what was described as a "fierce fire". The inquest into their deaths ended yesterday. The coroner ruled out the possibility that they were unlawfully killed. The HSE tells us that three operational inspectors and a scientist from their science division gave evidence to the jury. The HSE says its investigation into the incident is ongoing. Most parts of the BBC East region should see a dry day with sunny spells. Cloud may thicken later, with the chance of a few showers for some. Temperatures will reach 23C (73F). BBC Weather will have more details for where you are. Norwich City's pre-season training camp in Germany ends today with a friendly against Arminia Bielefeld. The Canaries return home next week and will have just two more warm-up games, at Charlton and against Brighton at Carrow Road, before the new Championship season kicks off in two weeks' time. This evening's opponents finished 15th in the German second division last season. City head coach Daniel Farke will be keen to avoid any further injuries having already lost Timm Klose and Alex Pritchard for the start of the campaign. Good morning and thanks for joining us for Friday's Norfolk Live. We're here until 18:00, bringing you news updates from around the county. If there's anything happening where you live that you'd like to share with us, click on the "Get involved" button at the top of the page to get in touch. We'll have the day's weather forecast for you shortly. 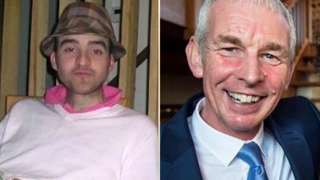 An inquest jury decides "a number of failings" were to blame for the deaths of two men in an explosion.